Kidd Rapinet is delighted to be sponsoring young entrepreneurs from The Windsor Boys’ School (TWBS) in their 2018 Dragons’ Den competition. The enterprise challenge is held each November to celebrate Global Entrepreneurship Week and is modelled on the popular BBC show. Kidd Rapinet invested a fund of £400 and invited pupils to present their business ideas and pitch for a slice of the funds. 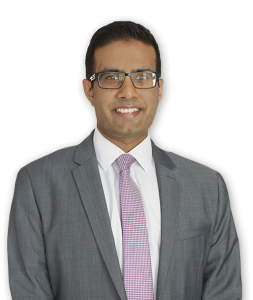 Our very own Shamit Rooproy, usually to be found in our Maidenhead office advising on all aspects of private client work, volunteered his services as one of the dragons. The Challenge attracted the highest number of pupils ever seen in the TWBS Den, with over 70 Year 10 pupils pitching their business ideas to the dragons. Shamit enjoyed the opportunity to engage with local young entrepreneurs who had put a great deal of thought and planning into their pitches. The standard was so high, deciding who to invest in turned out to be a challenge in itself! With additional funds provided by local care provider, Always Growing, the dragons this year were able to invest in more pupils than previously. The successful entrepreneurs will be selling their goods and services in Windsor town centre on Tuesday 11th December – look out for TWBS stall in Peascod Street! And afterwards there’ll be an opportunity for a debriefing, with final accounts and a round-up of what worked well, what to do differently next time. Kidd Rapinet are proud to be a part of this valuable learning experience, supporting business leaders of the future!